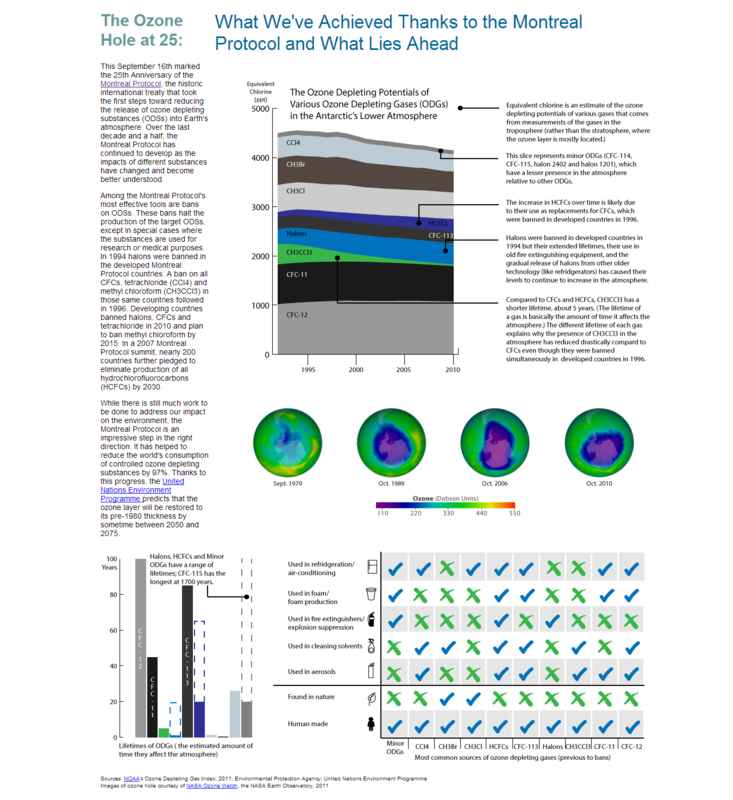 This Sunday marked the 25th anniversary of the Montreal Protocol on Substances that Deplete the Ozone Layer , a United Nations (UN) treaty designed to protect Earth’s ozone layer. The ozone layer is vitally important to life on our planet because it helps protect all living things from harmful ultraviolet rays that can cause genetic damage, such as skin cancer. 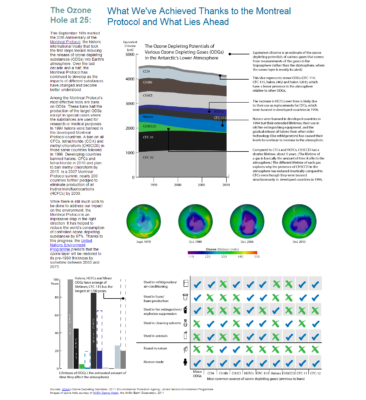 In recognition of all that the Montreal Protocol has done and strives to do in the future, I made an infographic. Click on the picture below to learn more.